Press the switch to turn the air conditioning system on. 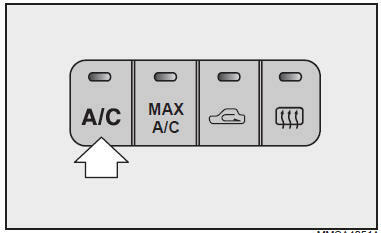 An indicator light in the switch will illuminate when the fan switch is on indicating air conditioning system operation. Press the switch again to turn the air conditioning system off.